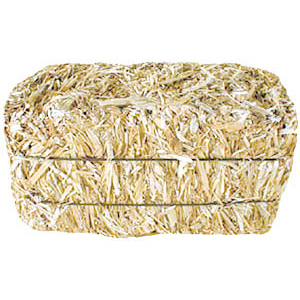 • Mini Bales are made of real barley straw. • Use for Fall or Harvest displays, arrangements, or centerpieces. • Bale measures 5 inches x 2.5 inches x 2.5 inches. • Each bale is individually wrapped and labeled for resale. • Packed 36 per case, $2.40 each.